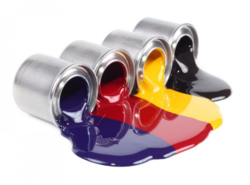 Our product range includes a wide range of paper printing water based ink and gravure printing ink. AQUA GRAVO W-QS is formulated for gravure printing on absorbent substrates. They are characterized by their ability to provide high-quality prints and maximum brightness over any type of paper substrates. 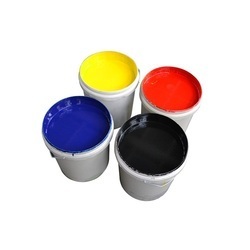 Paper Printing Water Based Ink is self cross-linking Acrylic copolymer emulsion. It has excellent thermal and mechanical stability, which gives it superior running properties. It has a special acrylic system, which gives good wet rubbing fastness. Owing to our vast expertise in the domain, we have become one of the proficient manufacturers, exporters and suppliers of superior quality Gravure Printing Ink that are primarily used to colour a surface in order to produce an image, text or design. These inks are processed under the stern guidance of our skilled professionals using optimum grade chemical compounds and advanced machines. Further, offered inks are checked on numerous measures to ensure their quality. In addition, our clients can get these Rotogravure Printing Inks from us as per their specific needs at market friendly prices.